This Cardiopulmonary Resuscitation Training provides basic life saving skills. Also, the HSE strongly recommend that all First Aiders and Emergency First Aiders in the workplace should attend annual First Aid Refresher training. Automated External Defibrillator (AED) refresher training can be added to this as well. The training is in line with the # NEW # Resuscitation Council (UK) Guidelines 2015 and can be adapted to suit the client in respects to what age group they may be resuscitating, be it babies, children or adults. 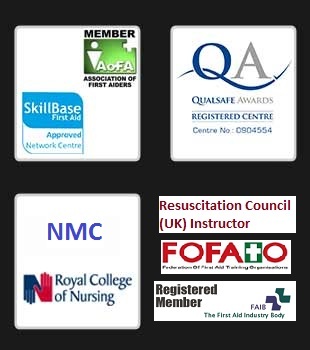 Candidates range from First Aiders through to Dentists, Nurses or other Healthcare Professionals. The cardiopulmonary resuscitation training normally takes place over three/four hours and includes the necessary theory followed by lots of practical “hands-on” practice to build confidence. This course can be adapted to suit a variety of audiences, from the complete novice to those who are skilled but feel their skills need updating. This course is usually suitable for up to 12 candidates. Price is dependant on course content and numbers-please contact us for more information.